Getting long hair overnight is not a possibility. Until your scalp produces new strands, you are not to get long hair. Do not fret; there are several means to grow your hair really fast. Adopt such means to grow your fast and quick. As you read the article, you will know how to make your hair grow really fast. There are numbers of natural remedies that enable your hair to grow fast. Practice patience to see long, silky and healthy hair. How To Make Your Hair Grow Really Fast? It may sound irony, but the fact being that scissor is a good friend of your hair. Groom your hair at regular intervals to get rid of split ends and damaged hair and results in long hair. If you wait for long between consecutive trims then there are chances of getting your hair damaged due to split ends and in turn resulting in hair loss. Though you obtain short hair due to grooming yet, you obtain healthy hair and strong enough to grow quickly. Every time you shampoo hair, remember to condition it. It is vital for you to use condition every time you shampoo as usage of only shampoo may harm your hair. The purpose of using shampoo is to remove dirt and excessive oils from the scalp. At times, shampoo may prove harmful to your hair by removing natural essential oils from the scalp. Be gentle while lathering up your hair. Allow the shampoo to slide down the strands to get in touch with complete length and then rinse it with plain water. Take a hot oil scalp massage from one of your dear friend or your better half. This is one of the best tips to make your hair grow really fast. Take some oil and heat up then gently rub the hot oil on to the scalp and wait for a while to notice difference instantly. You can use olive oils, coconut oil and jojoba oil and any other oils that you think can make wonders can be used. Simply heat the oil and massage the scalp gently. Most of the people believe egg whites cannot do much better for hair. But, egg whites can make wonders and make your hair grow long and quick. Egg whites possess healing properties and are capable of restoring shiny and soft texture of hair. Additionally, egg whites can replenish your hair. Open few eggs and take off whites and pour out the yolk. Prepare egg whites mask for your hair and put on to the hair and you can instantly see your hair strong and grow quickly. To have healthy hair, it is necessary to drink a plenty of water. Water flushes out toxins and unwanted elements from the body and keeps your body fit and healthy. Drinking water is one of the easy and natural means to promote hair growth. Drink 8 glasses of water per day to feel better and to keep your hair strong. Strong hair grows quickly. By drinking enough water, you are keeping your hair hydrated internally. Hydrated hair is strong enough and looks live whereas, dry hair is easily prone to breakage. While brushing your hair, do it with care. It is enough to brush your hair once in the morning and once or two times during the night. Brushing stimulates the blood circulation to the scalp in turn promoting hair growth. Enhanced blood circulation feed the hair follicles to ensure the hair growth on a full scale. To brush your hair use a comb instead of wide toothed ones especially if your hair is frizzy. Note: Do not brush your hair while wet as that promotes hair breakage ultimately leading to hair breakage. If you are used to blow dry every day, you may find it difficult to manage without blow dry. However, it is necessary to minimize blow drying to promote hair growth. In case if you reduce blow drying then you will have fewer split ends and healthy hair. Cutting down to four times per week gives you best results and gradually you can cut down blow drying. Protein filled foods are crucial for hair growth. Consume lot of food rich in proteins. You can notice a lot of difference in the quality of your hair and the growth rate. Fresh fruits, vegetables, eggs, and fish are rich in proteins. Even different type of meats makes a lot of difference. Avoid junk foods and eat healthy, stay healthy to get long hair quickly. If your body lacks vitamins, then your hair tends to be brittle and dry. Vitamin A, B, and C are vital for hair growth. So, consume enough vitamins to get long and healthy hair. Or you can also wash your hair with potato water to get necessary vitamins. Daily multivitamins are helpful and are equivalent to vitamin treatments. You can eat vitamin rich food. Essential oils help you to grow your hair thick and long. You can use essential oils all over the body. Combine three drops of rosemary oil and lavender oil with two drops of cedarwood oil and thyme oil with few drops of jojoba oil. Take the mixture and apply on to the scalp and gently massage with your fingers. You can notice enhanced hair growth and faster growth. Yes, onions are helpful beyond the kitchen. You can use them for hair nourishment and long hair. Take few onions and boil them and use the water to rinse your hair. You will get an awesome shine and fast growth. Rinse your hair after you use onion water to keep away from lingering smell. Try this method when you are quite free on a weekend. Try potato mask to yield quick results. Take 3 potatoes and extract juice and add some honey and egg yolk. Now your potato hair mask is ready. This is one of the natural ways to promote hair growth. It gives similar results as potato water, but adding honey and egg yolk moisturizes your hair. Squeeze few drops of aloe vera gel out of the leaf and add brandy to it. Mix them well and apply it on the scalp and allow working for some time. Say, about one hour or for long to get best results. Then wash your hair with regular shampoo and condition it to see best results. 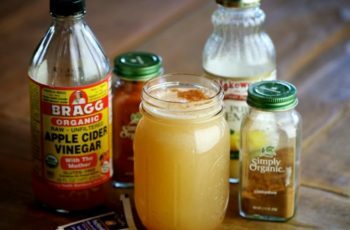 Apple Cider Vinegar can create wonders and it is one of the simple tricks to make your hair grow fast. Add some water to apple cider vinegar to dilute it. After shampooing your hair use the diluted apple cider vinegar to rinse your hair. The vinegar stimulates the hair follicle cells and promotes hair growth. After usage, you can figure out the smell of vinegar. However, it is safe to use apple cider vinegar. If you cannot tolerate the odor, you can add your favorite flavored essential oils while washing your hair. You now know how useful hot oil treatment for quick hair growth is. Grapeseed oil is one of the essential oils that serve your purpose. Every night without fail massage, your scalp with grapeseed oil and you are to see a large difference in the growth of your hair. If you find your hair appearing oily then reduce to twice or three times per week. In case, if the hair growth is stunted due to damage hair then night oil treatment for your hair is crucial. Using hair care products based on silicon creates fantasy towards getting silky, smooth and healthy hair. These products block the hair shaft and preventing moisture and clog the hair follicles resulting in the weak hair shaft and preventing hair growth. No silicon based products are opposed to this theory and everything results in the same effect. This is vital and primary necessity to ensure quick hair growth. However, it is required to lather your scalp to remove the dirt and excess oils. Conditioner makes your hair appear frizzy and create flyaways and look messy. Using conditioner on scalp may cause dandruff. Healthy hair has its origin from scalp and if it is unhealthy then you probably may cannot see long healthy hair. To apply conditioner carefully without applying on the scalp tie your hair into ponytail and apply the product from down the elastic. When you find time leave the conditioner turns on for about 10 minutes while sitting in a steam room. The hot steam aids the conditioner to go deep into the hair and helps the hair to absorb the conditioner completely to get best nutrients. You can instantly see healthy, beautiful, shinier, and gradually long hair. Alternatively, wash the hair and condition it and wrap your hair with hot towel. Washing your hair every day is not required also usage of shampoo and conditioner damage your hair. In case of daily wash your hair strives hard to survive and you cannot expect hair growth. Ideally, wash your hair two times or three times per week. If you find you need shampoo more frequently than the normal go for dry shampoo. By doing so, your hair promotes production of natural oils and promotes hair growth. 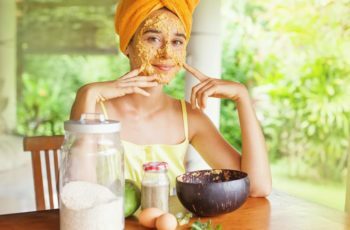 No matter how good are the hair styling products, the best alternatives to styling products are natural products that promote hair growth naturally and have long lasting effect. Moreover by using hot or cold blow drying you will make sure that the chemicals present to stay on the hair for long causing further damage to hair. Tocotrienols are abundantly present in palm oil that promotes hair growth. Apply palm oil once or two times per week through the hair length avoiding the scalp to see tremendous growth. Once you apply the oil make sure to wait for 10 minutes before cleansing and using your usual shampoo. Additionally, palm oil protects your hair from the sun, chlorine water, and salt and prevents your hair from becoming brittle, dull, and dry. Palm oil of different kinds probably gives similar results. You can go through couple of reviews before choosing the best among them. It may be expensive to get good quality of palm oil. However, you are ought to get instant results and it is worth paying. Protect your hair from the harsh sun, dust, and dirt to promote the growth of long hair. A fashionable fedora or a beautiful scarf may help you to overcome the harsh summer. Do not sunbathe below direct sunlight and if you are staying in a pool for a long apply good amount of palm oil for hair. Do not brush your hair while wet. Wet hair is vulnerable and tends to break. But, at the salon before the haircut, wet hair is brushed but that is to make out the length of your hair exactly and the length required cutting down. At home, never brush wet hair as you are damaging the hair length and causing hair breakage. If you are resting on cotton pillow covers, you are likely to notice hair fall the next morning when you get up. Replace the cotton ones with silk pillow covers. The silk pillow causes less friction resulting in less hair fall. Additionally, silk has better effects on the skin. However, when sleeping on silk, there are fewer chances of getting wrinkles. So, using silk is both good for the skin as well as your hair. Biotin basically is vitamin B and is one of the effective means to grow your hair long. Whole grains, soy, liver, and eggs are the rich source of biotin. Consume biotin rich diet and you can also take biotin supplements to see amazing results.